Barnyard Venice: 1715 Pacific Avenue - Yo! Venice! The old Benice location at 1715 Pacific Avenue will soon be the location of Barnyard, headed up by chef Jeremy Fox. After leaving Napa’s Ubuntu and San Francisco’s Manresa, Jeremy Fox found his way to LA to consult on various projects, including Freddy Smalls, and do a few pop-ups around town. 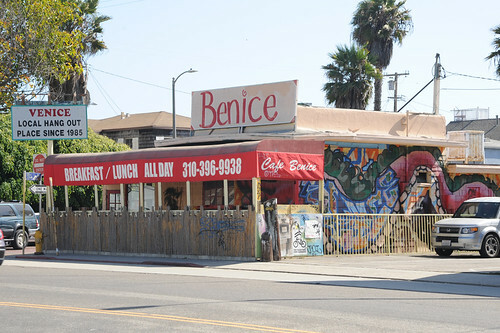 Now he and partners have taken over Benice Cafe in Venice for a new small-plates concept called Barnyard. As the name implies, expect a farm-to-fork menu, ultra seasonal, rustic, with influences from near and as far away as North Africa. Construction just started, so expect an opening later this year or possibly early next.